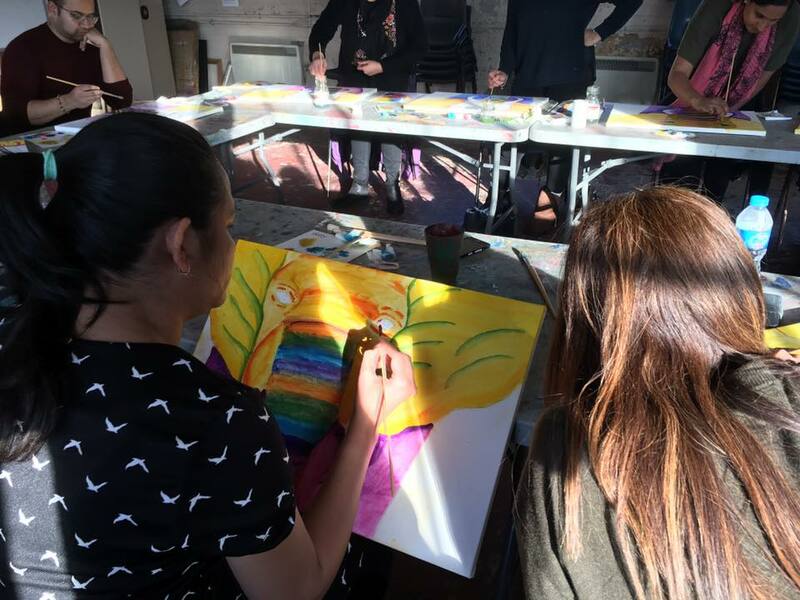 How do you prepare for 15 adults in your first art class? After gathering 15 canvases, 24 paint tubes, 45 brushes, 15 glass jars and 15 palettes- I was ready. But really it all had to come together on the day, and I found myself realising that teaching art in a group was great fun. Not only this, but the class itself was interesting. I was managing people of different skill/ confidence levels and was running around working on different elements of problem solving within each piece. In the end, people built their own styles, for example, some people used thick paint, others used thin. I was so happy that in one class, people were already building unique characteristics in their paintings.